Matthew Johnson-Roberson, PhD, is Assistant Professor of Naval Architecture and Marine Engineering and Assistant Professor of Electrical Engineering and Computer Science, College of Engineering, the University of Michigan, Ann Arbor. The increasing economic and environmental pressures facing the planet require cost-effective technological solutions to monitor and predict the health of the earth. Increasing volumes of data and the geographic dispersion of researchers and data gathering sites has created new challenges for computer science. Remote collaboration and data abstraction offer the promise of aiding science for great social benefit. 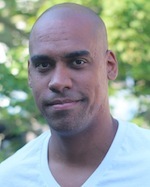 Prof. Johnson-Roberson’s research in this field has been focused on developing novel methods for the visualization and interpretation of massive environments from multiple sensing modalities and creating abstractions and reconstructions that allow natural scientists to predict and monitor the earth through remote collaboration. Through the promotion of these economically efficient solutions, his work aims to increase access to hundreds of scientific sites instantly without traveling. In undertaking this challenge he is constantly aiming to engage in research that will benefit society. Traditional marine science surveys will capture large amounts of data regardless of the contents or the potential value of the data. 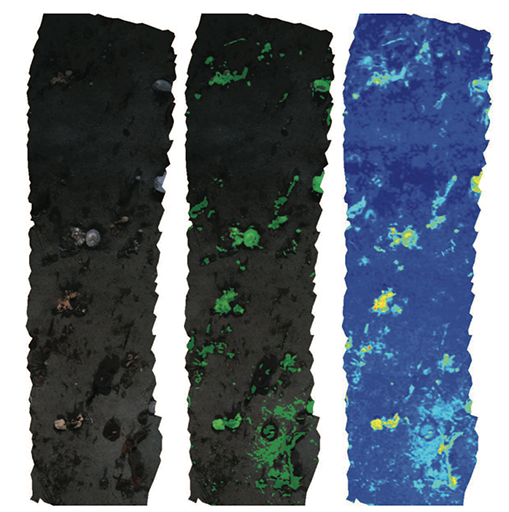 In an exploratory context, scientists are typically interested in reviewing and mining data for unique geological or benthic features. This can be a difficult and time consuming task when confronted with thousands or tens of thousands of images. The technique shown here uses information theoretic methods to identify unusual images within large data sets.